There’s hope by the main characters, who are working together and finding/helping new survivors in a world gone bad. There’s hope by moving on from the past, as another crossover character arrives! There’s more hope as an already-established fan favorite returns! And there’s a LOT of hope by this writer, as the series has finally turned a corner and significantly improved from the show’s early years!!! That declaration by Lennie James’ Morgan Jones may summarize the new season, as Fear returns on Sunday, June 2nd and it seems Showrunners Andrew Chambliss and Ian Goldberg have repaired the sinking ship. Gone is the bad writing, bad direction and bad acting of the series’ dark days that regulated the show as TWD’s neglected sister series. After the big crossover event and midseason finale last year, things were looking up. And then the season finale gave our crew a new reason to live before the show was renewed and yet another familiar character would return (Fear‘s Collection of Walking Dead Cast-Offs). 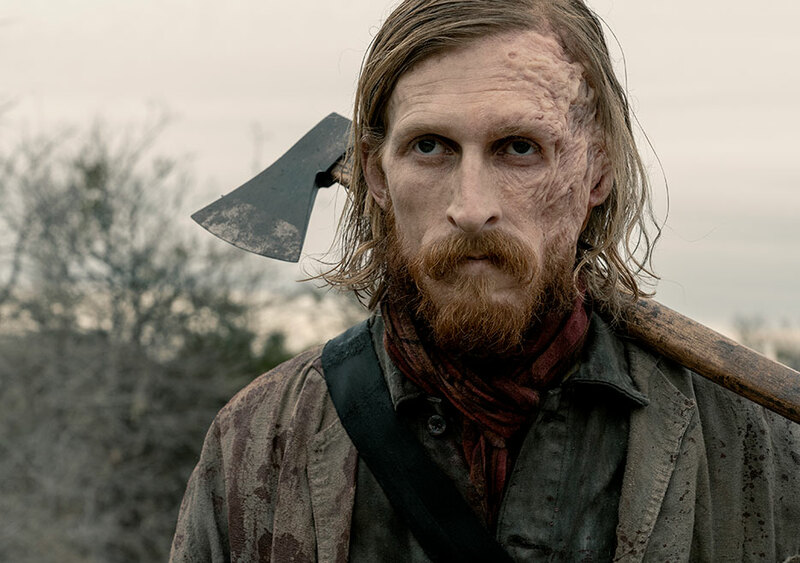 No longer a Savior and under Negan’s control, Austin Amelio’s Dwight is now free of The Sanctuary, but where’s he been all this time? Is he still searching for his wife? And will he play friendly with this new group of people or return to his old ways? An unknown danger lies ahead for our group, along with all-new walkers, a seemingly friendly pet cat, the return of Augie’s Ale… and an airplane. Then there’s an introduction to “the hurt that will happen,” as Old Man Salazar is back from the dead for a second time! John Dorie’s still got the stuff with his guns (and his love life)! Radio contact is made with a mystery person (feels a little too similar to TWD’s season finale), while lots of new (and old) conflicts will be rising to the surface as our survivors attempt to Just Survive Somehow. It’s the same old battle van, the same old struggles, but some new characters meet some old ones for what seems to be a whole lot of drama. Will Dwight and Old Man Salazar be portrayed as anti-heroes? Or will they be the playing the villains? Either way, the characters better get some good chunks of dialogue and screen time, as they’re probably the best-written roles this year, so here’s to hoping the showrunners gave them plenty of opportunities to shine. Before Season 4, there was plenty of doubt this series would last much longer, as it seemed to be headed toward cancellation. But with all of the major changes last year, it seems the show has re-emerged with a new lifeline. While many fans encourage the merging of Fear‘s survivors with the remainders of Rick’s Gang in the mothership, TWD, that does seem like an inevitable future storyline. But for now, our crew simply has to survive the season premiere, and we’ll go from there. Until recently, both Walking Dead series have suffered storyline stalls, sort of treading water, staying in place while never moving forward. That seems to have now changed for Fear, while the opposite seems to be happening on TWD. Here’s to hoping audiences will give Fear a real chance and realize it’s much more than a second opportunity for some already-established characters. A rise in its ratings would create REAL hope for everyone involved with the show.